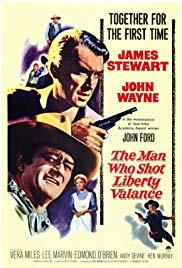 John Wayne, James Stewart, Lee Marvin & Vera Miles star in this John Ford film. One of the great westerns. A genuine classic.